This poster announces the Anderson County fair. 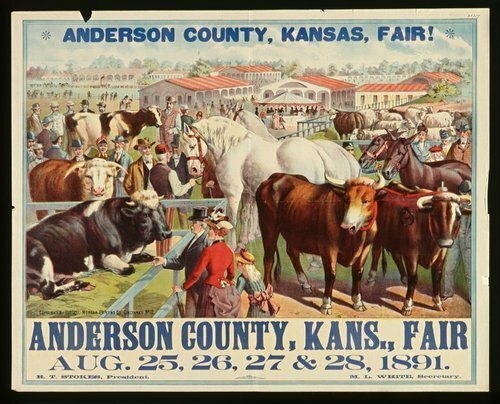 The poster includes a color illustration of a fair scene with livestock and exhibit buildings. Fair officers are R. T. Stokes, president, and M. L. White, secretary.